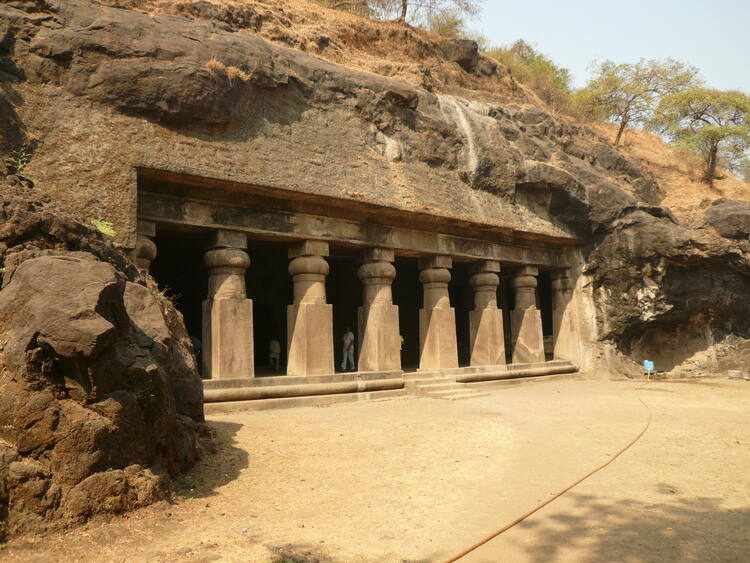 The Elephanta Caves are located very near to the dense jungle of concrete buildings in Mumbai. These caves are seen very close to the sea coast of Arabian sea that lies 10 km away from the chief metropolis. The caves of elephant are being counted among the oldest rock cut monuments of India. These caves are intense expressions of the art work that is close to the cult of Shiva. The caves of Elephanta are the embodiment’s of cave culture that is associated with Hindu Religion. These are a proven testimony of a civilization that existed in the past. The origin of these caves has been a subject of debate in every century, though the art and sculpture speak about the time that might be in the 6th or 8th century. The caves of elephanta are located on an island that is known by the name Gharapuri and the Portuguese renamed this island as Elephanta. The temple of island was constructed in the honor of Shiva and it promoted the religion that laid emphasis on the worship of Shiva. Many people tell that the Elephanta cave temple was destroyed by the Portuguese. Many other idols of Hindu deities and structures in these caves were destroyed. Today the entire place of caves of Elephanta has become a very popular hot destination for universal tourists. As a tourist if you take a boat ride, then you can enjoy seeing a fine view of the Mumbai sea harbor, the Taj Mahal 5 star hotel and the Gate Way of India. You may be also be allowed to see the tanker ships of Mumbai and the island of Bucher island with a white washed fort on it. Enjoying a boat journey is a unique experience in itself with unlimited things that existed in the past. This is one of the best places in Mumbai where you can have a view of sea gulls at anytime during morning, afternoon and evening. The Elephanta as a small island is just located near the coast of the Arabian Sea. It may be a least expected place for those people who are fond of shopping. You should get ready to receive a nice surprise in the form of an attractive collection of souvenirs. Once you reach the island, a little walk to the uphill will take you around the local market. This market is like an earthly heaven for women and consist jewelry, marble items, clothes, photos of Shiva and many craft work items made of wood.